The Philadelphia Eagles opened the 2017 regular season as third-favorites to win the NFC East behind Dallas and the New York Giants. A strong 10-1 start led to the top seed in the NFC playoffs and a run all the way to the franchise’s first Super Bowl title with a stunning upset over New England in the title game. With pretty much the same roster that turned things around last season from seven wins in 2016 to a 13-3 mark in 2017, the Eagles have been listed by VietBet as -150 odds-on favorites to repeat as division champs this season. You would have to go back to Philadelphia’s four-straight NFC East crowns from 2001 to 2004 to find the last time any team in this division won back-to-back titles. There is still some concern with Carson Wentz’s surgically repaired left knee heading into his third season as the team’s starting quarterback. However, Philly boasts one of the deepest rosters in the NFL on both sides of the ball. The Dallas Cowboys slipped from 13 wins in 2016 to a 9-7 record last season amid the distraction of running back Ezekiel Elliott’s six-game NFL suspension. Teaming up with third-year quarterback Dak Prescott, the Cowboys are listed as +350 second-favorites to unseat the rival Eagles. If both of these players can recapture the playing form from their rookie season, things could remain close deep into December. Where Can I Bet 2018 NFC East NFL Games With Bitcoin? The Giants have gotten the most hype this offseason with the addition of running back Saquon Barkley as the second overall pick in the draft. He will join veteran quarterback Eli Manning and a healthy Odell Beckham Jr. at wide receiver to help resurrect the running game. New York also made several moves to address its issues on defense. Its odds to win the NFC East for the first time since 2011 have been set at +500 on VietBet’s NFL futures board. This is another team that could make things interesting if most of the breaks go its way this year. The Giants are only two seasons removed from winning 11 games. 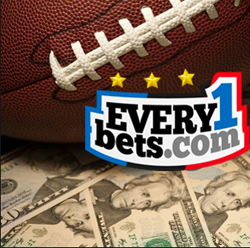 The longest odds on the board to win the division title this season belong to the Washington Redskins at +800. They won the NFC East in 2012 when Mike Shanahan was still the head coach and they won another division title in 2015 in Jay Gruden’s second year at the helm. Other than a 4-12 record in his first year has head coach, Gruden’s teams have won at least seven games in each of the other three years. If veteran quarterback Alex Smith can adjust to the new system in Washington, the Redskins should have a good chance to go OVER VietBet’s projected seven-game win total for the 2018 regular season. 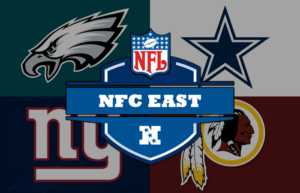 2018 NFC East Betting Preview | Where Can I Bet NFL Online? Read The 2018 NFC East Betting Preview, Odds, Lines, Spreads, PIcks & Predictions. Find Where To Bet NFL Football Online With Bitcoin.